A client’s heirloom diamond sits in the center of this special ring. 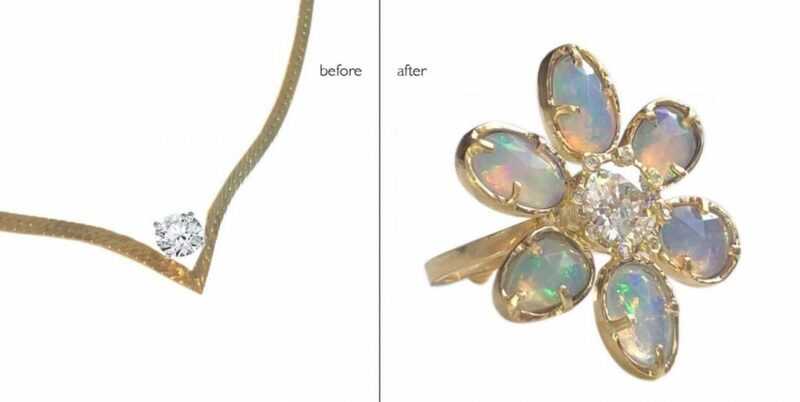 We decided on opals to surround the center stone with little diamond bezels to add extra sparkle. 18 karat. One-of-a-kind.